Please contact Premier if you have any questions about your benefits or if you would like to request a quotation. Please remember to quote your membership reference whenever you contact Premier. This starts with CWSF and is followed by a six-digit number; you can find this reference on your welcome letter from Premier. For any out-of-hours enquiries, you can either send a message using the form below or you can leave us a voicemail message by calling the helpline. Please allow up to two working days for a response. If your enquiry is urgent, we recommend you call the helpline during standard office opening hours to speak to a member of the team. How was your experience of dealing with Premier? 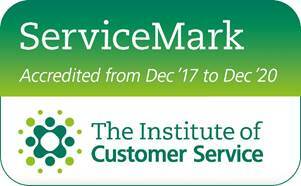 Premier is a committed member of the Institute of Customer Service, and making sure every member has a great experience of interacting with us is thus extremely important. The Directors of the Fund and Premier would like to hear your thoughts on how well Premier is performing. Please take our short customer service survey by following the link below, and we will enter you into a free prize draw in which you could win £100 in shopping vouchers. Please start by entering your unique membership reference, issued to you by Premier. This reference starts with CWSF.